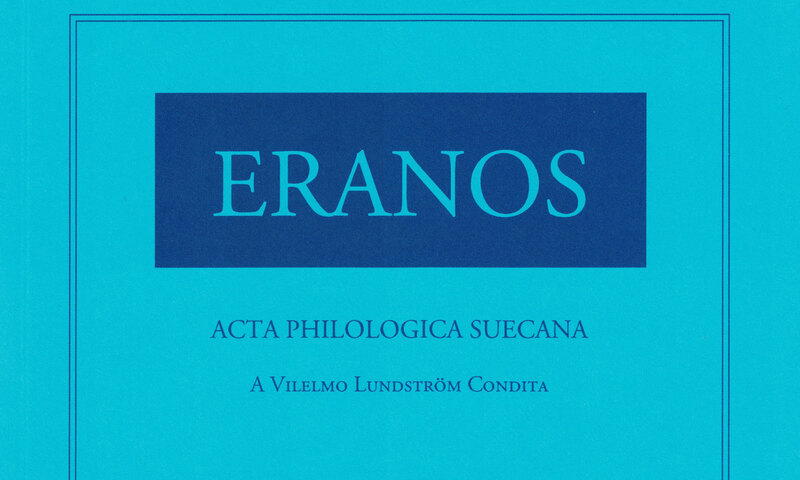 Eranos: Acta philologica Suecana, would like to invite authors, both old and new, to submit manuscripts to the journal. We offer quick publication of your contribution, as soon as it has passed the peer review. For inclusion already in volume 110 (2019), we need your contribution by mid August at the latest. For instructions to authors, see www.eranos.se. Your contributions should be sent to editors@eranos.se. We also welcome proposals for special issues by guest editors (see Eranos 109 for a recent example). Please write to editors@eranos.se with your proposal. We are also happy to answer any questions you might have on the issue. Eranos 109 (2016–2018), special issue on The origins of political thinking in ancient Greece with eight articles and an editorial introduction by guest edited by Dimitrios Iordanoglou and Johan Tralau, has been recently published. to the new and improved Eranos.se! The TOCs compiled by Johan Heldt and Christer Henriksén have been added and the site has been redesigned by Mikko Akujärvi. The board of editors thanks all involved! The next volume is due to be published in the course of 2018, for details Contact and Subscription.